Pierre Gerard’s Le Havre: A Riveting Expose For Our World Today: The French Resistance in World War II: A Historical War Romance Novel (Merriam Press, 286 pp., $18.95) has been published posthumously. A Vietnam veteran, Pierre Gerard served in the U.S. Army in Soc Trang during his 1967-68 tour of duty. His family has a distinguished military history. Gerard was raised an Air Force brat by his Strategic Air Command pilot father and French mother, a native of Le Havre. Those facts enrich his writing. This historical novel follows dual protagonists, Ti-Jean Campion and Marie-Claude Le Goff, life-long citizens of the French seaport Le Havre, which was occupied from 1940-45 by the Germans during World War II. 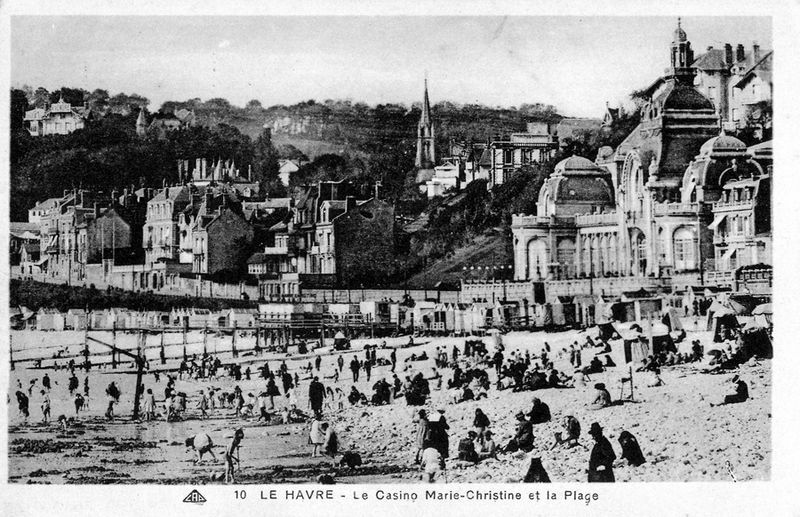 At the start of the war, French citizens in this idyllic seaside city had fresh memories of the defeat of Germany in World War I. Things soon changed. The two young protagonists are consumed with their love for each other—and with preserving free France, along with fellow Resistance fighters, Les Chevalier du Normandy. They often meet at Le Chat Noir,The Black Cat, planning strategy and sipping espresso and in their more-secluded safe house away from Gestapo prying eyes. The German Navy moved a U-Boat into the city harbor and covered it with camouflage, protecting it from possible deconstruction by allied bombers. The Resistance had to find out what surprise the U-Boat Captain was planning. The fate of the harbor city of Le Havre— and perhaps all of Europe—hinged on the what lay hidden in the hold of the German U-Boat. This novel is magnificent and tragic. Ce roman est magnifique et tragique. Very few aspects of the American war in Vietnam have not come under the microscope in books, magazine articles, scholarly journals, blog posts—or any other medium. One part of the war that has seen little light in the last four decades, though, is the U.S. military’s on-the-ground psychiatric treatment of the troops. 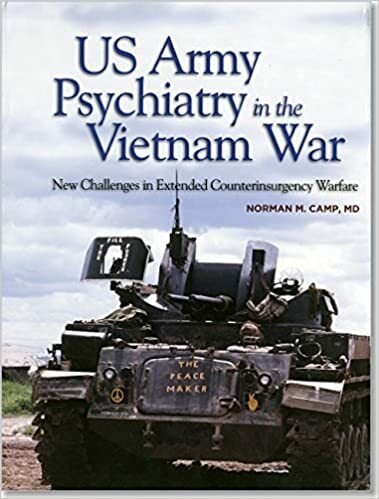 That situation has been rectified, though, with retired Army Col. Norman M. Camp’s U.S. Army Psychiatry in the Vietnam War: New Challenges in Extended Counterinsurgency Warfare (Bordon Institute, Department of the Army, 558 pp., $75). This book is no less than the exhaustive, definitive look at that part of the war put together by Dr. Camp, a psychiatrist who served as the CO of the 98th Neuropsychiatric Detachment in Vietnam in 1970-71. As Dr. Camp shows, the military did a decent job of providing psychological help for the troops in the field. The Army alone sent 135 psychiatrists to the war zone. But as the war dragged on and morale and discipline plunged, too many troops suffered psychiatric and behavioral problems. This worthy book is a long, detailed history of military psychiatry in the Vietnam War. In it, Dr. Camp uses many sources, including the words of psychiatrists themselves, his own experiences, official records, and the testimony of other mental health personnel who served in the war. 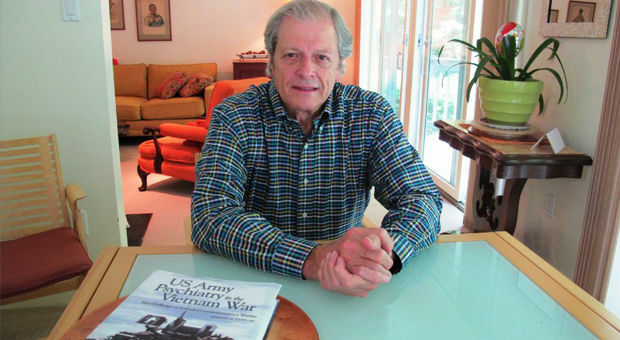 An Associate Clinical Professor in the Psychiatry Department at the Medical College of Virginia, Norman Camp also offers a concise history of America’s participation in the Vietnam War, emphasizing the psychosocial impact of the war during its early and later stages. Retired Army Master Sergeant Gregory H. Murry must have recognized a challenge, along with the humor, in the cartoon because he includes it in Content With My Wages: A Sergeant’s Story: Book I—Vietnam (No End to Publishing, 355 pp. ; $20, paper; $15.00 Kindle), his memoir and cleverly constructed analysis of military leaders of the 1960s. A 1st Infantry Division grunt during his 1966-67 Vietnam War tour of duty, Murry intersperses his life story with history lessons. Having served in Germany prior to going to Vietnam, he is worldly to military ways, but also is honest enough to reveal his moments of naivety. Although parts of the book sound familiar, Murry delivers something original even in oft-told tales such as the rigors of being an FNG. The Big Red One’s basic assignment was road clearance, but its commanders preferred search and destroy missions. They aimed to win a war of attrition through the use of superior firepower. To them, American soldiers basically were bait to attract large numbers of VC into range to be shelled and bombed. Basically, Murry’s company of the Big Red One’s 1st Battalion, 16th Infantry Regiment searched until they were ambushed. Taking part in a continuous string of operations—Attleboro, Healdsburg, Santa Cruz, and others—he describes near misses and many casualties from booby traps and friendly fire. Mainly the infantrymen found and destroyed tons of rice and other VC supplies. After seven months, Murry fought in his “first serious combat” at the Battle of Ap Gu, which he describes as “one of the most lopsided victories” of the war. After a moment of dead quiet, the men broke out in cheers and laughter. This time the colonel ended up cursing them out. Dichotomies such as these typify relationships between enlisted men and officers throughout the book. Murry’s accounts of two battles should be mandatory reading for all infantrymen. The first—the Battle of Bong Trang—took place shortly before he arrived in-country. He explains that by discouraging candor, commanders turned a loss into a media victory. Murry compares what had been accepted as the final word at the time with the latest information based on new interviews, previously overlooked after action reports, and additional information he uncovered. Murry took part in the second battle—Xom Bo II during Operation Billings. From a forty-two man platoon, he was one of only eight fit for duty after the fight. He analytically reconstructs the battle and determines that, despite heavy losses, commanders ignored findings that dictated changes in tactics. Confession in the form of telling the truth is the bedrock of Murry’s intellect. He concludes that the military leaders in Vietnam were hampered by Second World War thinking because the highest-ranking officers had gained their combat or staff experience in that war. They expected prolonged battles, whereas NVA leaders chose to hit and run. DuPuy’ successor Gen. John H. Hay, Jr. worried that “as our leaders rotate, our battle-won wisdom shrinks.” He solved the problem by simply re-emphasizing search and destroy tactics. A long Appendix titled “Stilwell, DePuy, and the Vietnam War” closes the book. In it, Murry traces the career intersections of Richard Stilwell and DePuy with that of William Westmoreland. The facts are fascinating. The three generals strongly advocated attrition strategy and search and destroy tactics. DePuy in particular must “take as much responsibility for losing the war as anyone,” Murry says. After the war, under the aegis of Army Chief of Staff Westmoreland, the careers of Stilwell and DuPuy flourished. While reading all of this, one can almost hear Murry scratching his head in wonderment. Content With My Wages is a young grunt’s view of the Vietnam War as refracted years later through the eyes of a scholar with deep-seated morality.Greg Murry provides hundreds of end notes, an extensive bibliography, and ten pages of photographs. This is the first of a project trilogy. Book II will cover his role in the war on drugs. Book III will deal with his military activities in Afghanistan. Former UCLA and Stanford University psychiatry professor Stephen Stahl is an expert on PTSD. 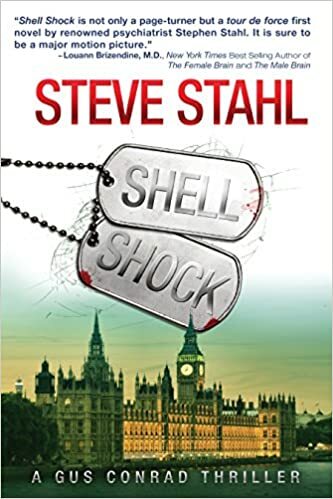 The hero of his novel, Shell Shock (Harley House Press, 448 pp., $17.95, paper; $5.99, Kindle), Dr. Gus Conrad, discover a covert “diabolical” military faction called The Patrons of Perseus, which was “formed during the First World War to celebrate heroism and eliminate cowardice.” The novel deals with Conrad’s attempt to fight the evil Patrons. Blurbs compare this novel—a thriller—to those of David Balacci, Stephen Hunter, Dan Brown, and Lee Child. Having read thrillers by all of those authors, I agree. A book of this sort needs diabolical bad guys, and there are plenty. Shell Shock covers events going back a century. World War I gets most of the attention, but recent wars also are given their due, including the Vietnam War. We get Siegfried Sassoon and Wilfred Owen as characters, with long conversations between them and a fictional character. I enjoyed reading those bits quite a lot. These conversations are set in remote Scotland at Craiglockhart, where the men were taken after being diagnosed with shell shock, the WWI term for what is known today as post-traumatic stress disorder. We’re told that a ploy of claiming the men had “pre-existing moral deficiencies” would discredit these men and save a lot of money. The author grew up in McKinney, Texas, just north of Dallas. He served twenty months in Vietnam with the U. S. Marine Corps. Like many Vietnam veterans, after he came home Foster tried without much success to suppress his thoughts about friends who gave up all of their tomorrows in the war zone. Some three decades years later, he was in his hometown speaking with some other veterans when the discussion turned to the Vietnam War. Foster was dismayed to learn that those veterans did not remember his friend from high school, Bill Bryan, who received the Navy Cross for his heroism at Khe Sanh during the battle for Hill 861 North in 1968. That was Foster’s motivation to tell the story of every Collin County veteran who did not return from Vietnam. Foster’s book covers all twenty-one Collin County servicemen: thirteen from Army, seven USMC, and one Navy man. 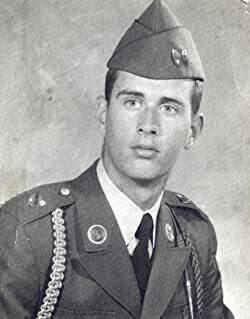 One of the men, Army 1st Lt. Russell A. Steindam, received the Medal of Honor for sacrificing his own life by falling on an enemy grenade to save his comrades. Other combat awards received by members of the group include a Navy Cross, three Silver Stars, a Distinguished Flying Cross, and six Bronze Stars. Eighteen received Purple Heart Medals (the other three died from non-combat related causes). A prodigious amount of research went into ensuring the accuracy of each veteran’s story. 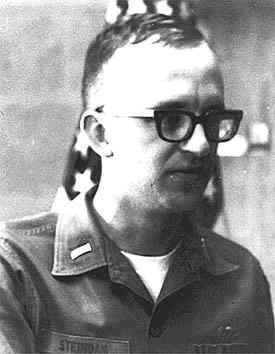 The author and his two research assistants relied upon sources such as The Virtual Wall website; official After-Action Reports; high school yearbooks; letters mailed home; newspaper articles; medal citations, personal interviews with battle survivors and family members; and condolence letters from commanding officers. That research paid dividends: All the Collin County veterans Foster writes about become real humans, not just statistics. One Day as a Lion was awarded the Silver Trophy as a finalist at the 2009 North Texas Book Festival. In this reviewer’s opinion, it should have been awarded the Gold.This gem of a book is a must read. Lowell Tollefson spent his youth in Southeast Asia and East Asia, an experience that informs his depiction of the regions and its people. Tollefson, a former college philosophy professor, is the author of a book of poetry, Vietnam War Elegy, and a collection of essays, What is War? He served as a United States Marine during the Vietnam War. 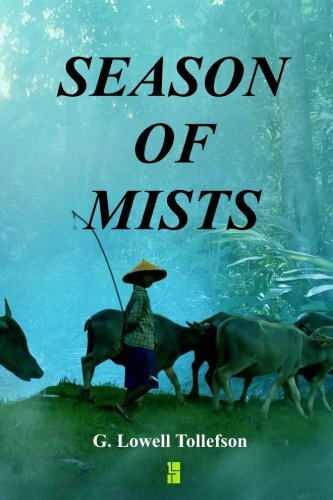 His latest book, Season of Mists (LLT Press, 90 pp., $5.50, paper; $0.99, Kindle), is a short novel written from the enemy’s perspective. The main character is a Vietnamese peasant who joins the Viet Cong. His name is Nguyen Duc Thuy. This book is over hardly before it has begun. I would have liked it to have been twice as long. We are told that the Viet Cong seek to “make the great American military machine feel the weight of its over encumbrance.” Certainly the stripped-down fighting methods of the VC, who traveled fast and light, were in serious contrast to the Americans who oftentimes moved around the war zone with all the stealth of a marching band. The novel is long enough to communicate that the main character’s love of family and land give him the strength and will to persist until the cursed foreigners have withdrawn. We see the horrifying suffering that peasants endured during the war. We also see why America with all its might failed to affect the hearts of the Vietnamese people to give up on their goal—to get their country back from the latest in a series of what they saw as invaders. I highly recommend this novel—especially to those who have tired of reading American novels and memoirs that contend that we didn’t lose that war against little Vietnamese people who lived in rude huts and used animals to farm rather than tractors. When high technology is launched against low technology, high technology is in serious peril. The Viet Cong had millions of acres of free bamboo to build bridges. Those bridges cost us millions to bomb to oblivion. But oblivion only lasted a few hours, and the bridges were back in place. The American war in Vietnam is a textbook example of how a war can be lost if political and military leaders fail to understand the enemy. Read this book to find out what the enemy was like on the ground. Tollefson does an amazing job of getting into the minds and hearts of the enemy and making them human. Richard Sloan served in the Marine Corps from 1966-69, including a 1967-68 tour of duty in the Vietnam War. 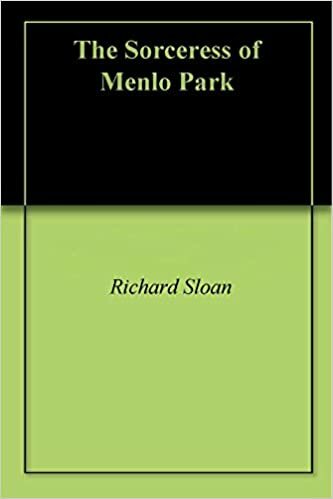 In his novel, The Sorceress of Menlo Park (Amazon Digital Services, 398 pp., $5.99, Kindle), the title character’s father is a captain in the Marine Corps who was stationed near Oakland doing intelligence debriefings of returning personnel from Vietnam shortly after his own tour ended. 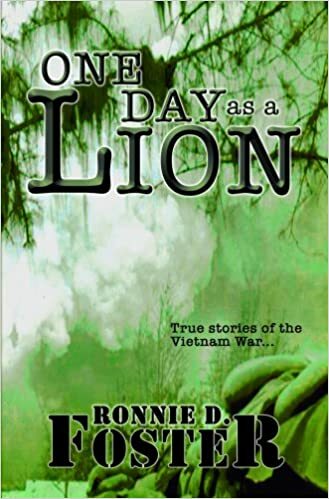 The plot centers around the title character, Joanne, whose high school history teacher pale when the Vietnam War was mentioned in history class, and did not permit her to do a history project on the war. Joanne was conceived when her father met up with her mother in Hawaii on R&R. She is a genius who is considered to be “a barbarian invading the fortress” by the establishment, as she is developing a microchip to be inserted into the brain to cure a neuro-muscular disease called Nivlem’s Syndrome. Joanne also is a marketing genius who has fashioned herself into “a Big Breasted Bad Girl” whose images sell millions of dollars worth of clothes and perfume. But she also has an impeccable record of helping the downtrodden, including veterans with PTSD. She works with them in clay therapy at the VA Hospital in Menlo Park. The villain in this novel, the Reverend Turner Byrne, uses Joanne’s near-naked marketing ploys as weapons against her. She warns the Reverend Byrne that she is a confirmed Lutheran and a goddess who can spit fire at those who dare to go against her. She accomplishes the fire spitting through muscle control. This reader asked himself how a 23-year-old woman who is happy with the image of herself as a “Big Breasted Bad Girl” and serves cookies to wounded veterans can subject herself to a ranting Reverend Byrne. Especially when she is a goddess who can spit fire. It seems unlikely. But I’ll leave it to other readers to decide.